This outfit is somewhat simple and boring; however I made it work. 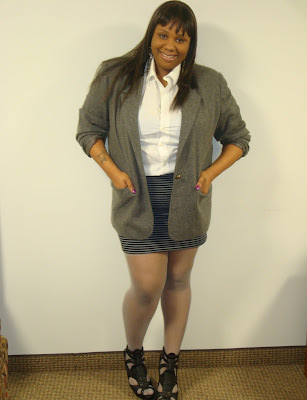 I had in mind what I wanted to wear and I knew that I wanted to go for the school teacher look with a twist. This outfit is very last minute but it worked well together. The blazer I brought at a vintage shop, which just added a more classic and simplicity to the outfit.